Israeli forces recently stole electricity-producing solar panels at the Bedouin community camp of Abu Al-Nawar, according to local sources. Abu Al-Nawar’s representative and local community leader, Abu Emad al-Jahalin, told Quds Press yesterday that the occupation authorities violated a decision issued by the Israeli Supreme Court to stop confiscating solar panels. 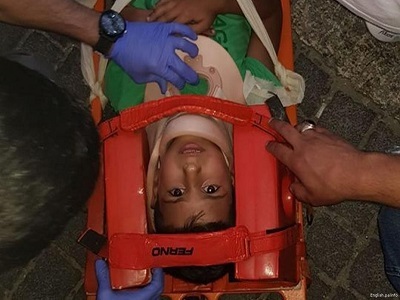 He said that the solar panels were used for a school, kindergarten and a community organization in Abu Al-Nawar and were confiscated by the Israeli military’s Civil Administration unit. He explained that the occupation dismantled 10 solar panels and storage batteries worth 50,000 shekels ($12,000). 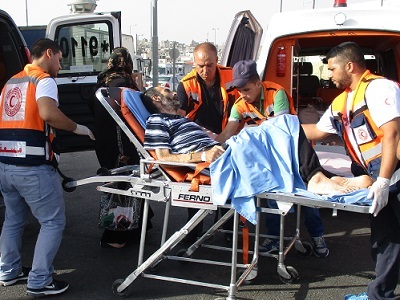 The equipment was provided by the European Union to serve institutions in the Palestinian Bedouin community. Some 105 Palestinian families live in an area of approximately 389 dunams (0.9 square kilometres) and have done so since the 1950s. They rely on agriculture and herding sheep for their livelihood. 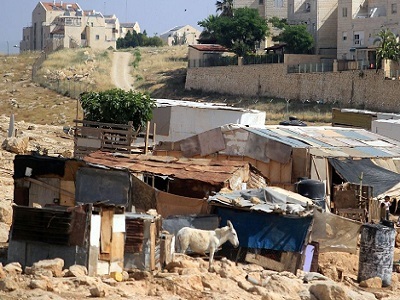 The Israeli occupation authorities plan to displace Abu Al-Nawar’s inhabitants for the controversial settlement project E1 which would separate the southern occupied West Bank from the north and tighten Israel’s control of Jerusalem. Israel took similar actions last June, stealing dozens of solar panels from the West Bank village of Jubbet al-Dhib, arrays that were donated by the Dutch government. The Dutch government expressed outrage over the theft.